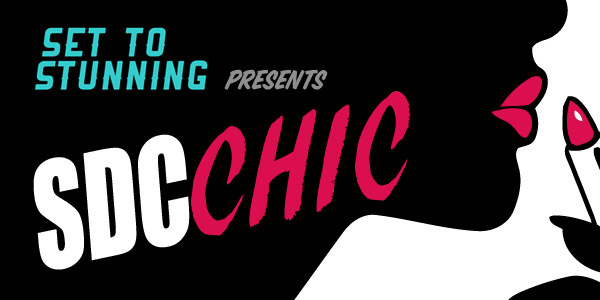 Tomorrow we’re heading down to San Diego but we have just one more SDCChic entry for you, ours! We couldn’t issue a challenge without taking the opportunity to put together outfits, and here are a few we’ll be wearing throughout the weekend. 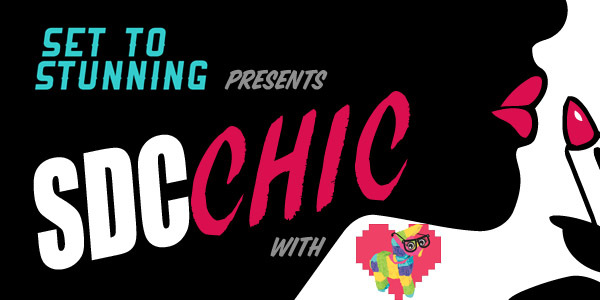 We hope you’ve been enjoying our SDCChic series and that it’s inspired you to put together some great looks for SDCC or upcoming cons! Today’s entry comes from Crystal from Geek Pinata. 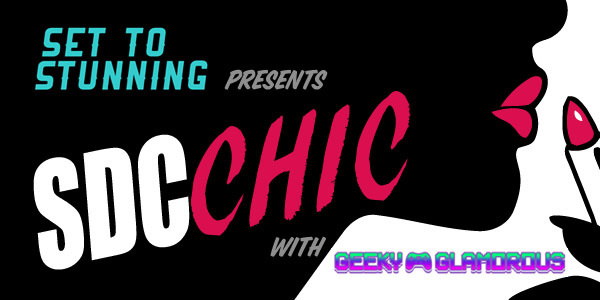 Like us, she covers posts about geek fashion, conventions, and has recently been posting geek chic outfits of the day. With Spring in full swing and Summer right around the corner, it’s time again to round up some great swimwear finds for the pool and beach. This year brings even more variety with rashguards, cover ups, and shorts in addition to our typical swimsuit round up. Check them out below! The #NERDVEMBER fun isn’t quite over yet! 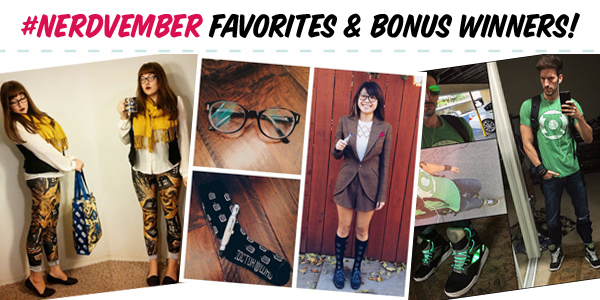 We wanted to devote a separate post to some of our favorite looks some of you created, as well as announce some bonus winners! 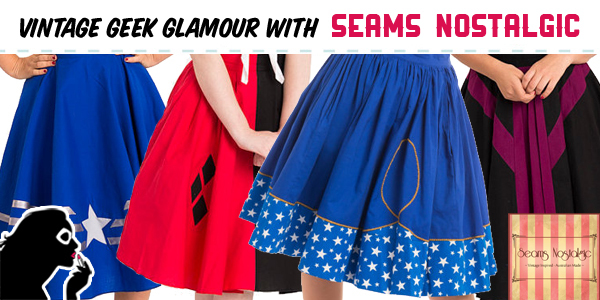 If you’re looking for that perfect blend of vintage chic silhouette with that classy geek flair, look no further than Australian fashion label Seams Nostalgic! Their newly released line, Alter Ego Geeky Couture, pairs vintage style with geek inspiration in the form of skirts that are sure to please DC and Marvel fans alike. It’s been awhile since Black Milk Clothing has released a licensed collection, so I’m excited to see this mini release entitled Hot Mess. If you’re a fan of Batman villains, or villains in general, you’ll love this release which has a little bit of everything. There’s something to be said about the fact that I’m currently writing this post during a heat wave in Southern California. 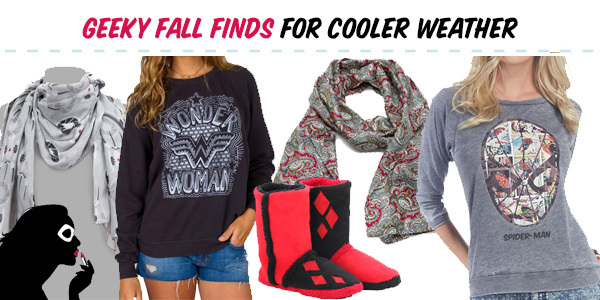 However, for the rest of you, fall weather is right around the corner. For this post, we’re putting together some great geeky finds that you can incorporate into your wardrobe as the weather cools. 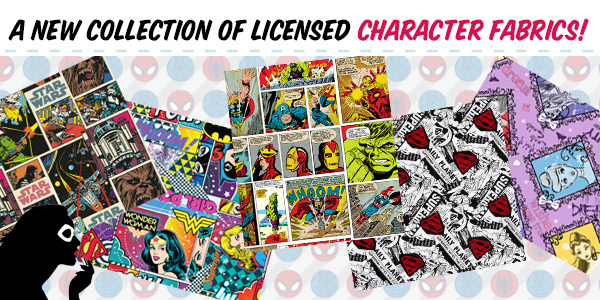 It’s been awhile since we’ve posted about new geeky licensed fabrics, ranging from Disney designs to some great female DC heroes, we’ve rounded up some great new designs that are sure to wow in all your DIY creations. We’re excited to be introducing a new feature to Set to Stunning this year – Interviews! 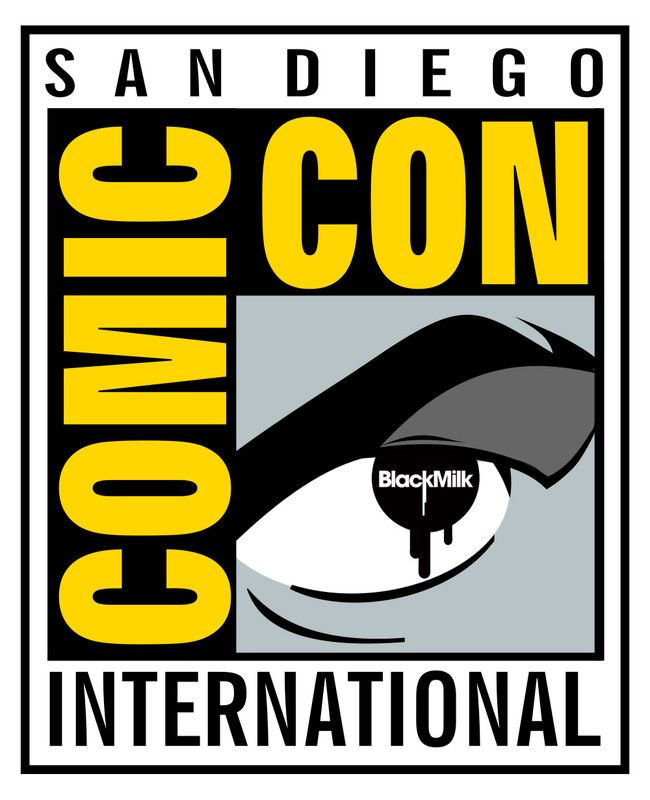 And who better to start off with than the titan of fashionable fandom spandex, Black Milk! There are LOADS of exciting info we’re psyched to share with you, as if you couldn’t already guess from the above image, so read on already!